Marlin tournament season in the Gulf of Mexico means big fish and big bucks as well as a serious adrenaline rush, and nowhere is that feeling more apparent than in the extremely popular Gulf Coast Triple Crown Championship Series. At stake in the Championship is not only the beautiful Frank Ledbetter marlin trophy and $12,500 in cash, but the honor of being named Gulf Coast Triple Crown Champions - the best billfishing team in the Gulf of Mexico. 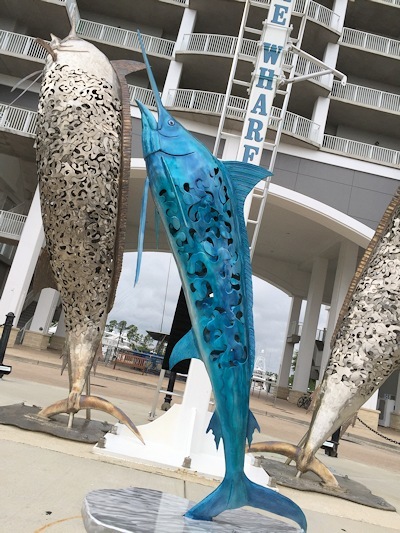 "The Greatest Show in Sportfishing"
held at The Wharf Entertainment Complex in Orange Beach, AL.